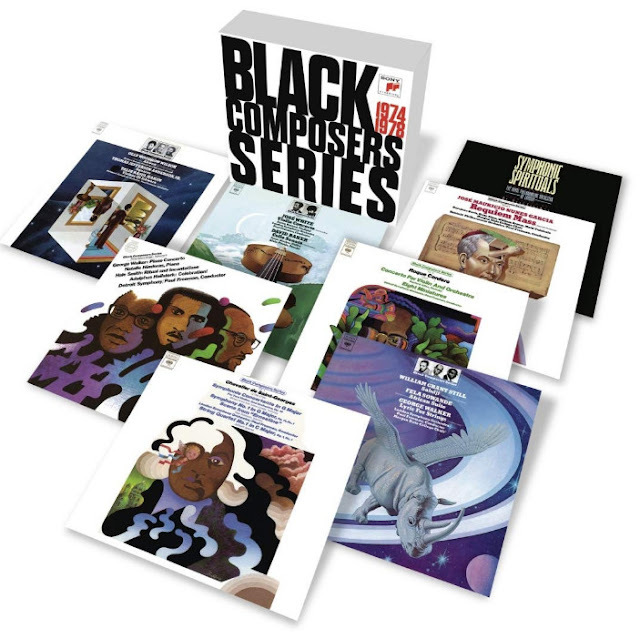 Strange that this re-issue by Sony of CBS Masterworks' Black Composers Series from the 1970s featuring music by, among others, Chevalier de Saint-Georges, Samuel Coleridge-Taylor and William Grant Still has not attracted any media attention. But perhaps not so strange when I can find no mention of it on the Sony Classical website. So here is a link to independent retailer Presto Classical for a full repertoire listing. Come on Sony. Not only do you need to tick the diversity box; you also need to promote the hell out of this important 10 CD box. The allegiance of a certain high profile classical website to Sony's deadly rival Universal Classics may also explain the lack of exposure for this important new release. The reissue did receive decent coverage on last Saturday's Record Review on Radio 3. There is no doubt that this set is too important to ignore, but apparently Sony BMG must have a reason that they're not publicizing it more. This is a shame as this set is one, if not the, most important series of music ever waxed to vinyl in the 1970s. Hearing many of these works opened my mind to a new world of music that I hoped to be a part of. Hearing Ulysses Kay's symphonic essay Markings was an eye-opener for me, and listening to it this morning once again - three times, in fact - reminded me how important a composer he truly was and does not deserve the neglect he has received since his passing over twenty years ago. Thank you for bringing this up. The best thing we can all do is spread the word!